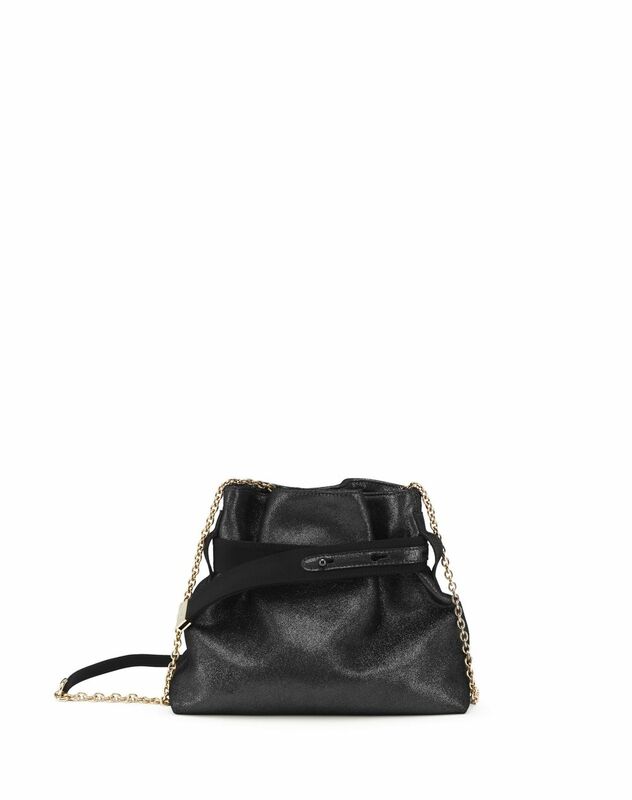 Lanvin V small hobo bag in black lambskin leather, tone-on-tone topstitching, inner patch pocket, black grosgrain belt detail with Lanvin-marked golden metal plaque, chain strap, invisible magnet button closure and black lining. 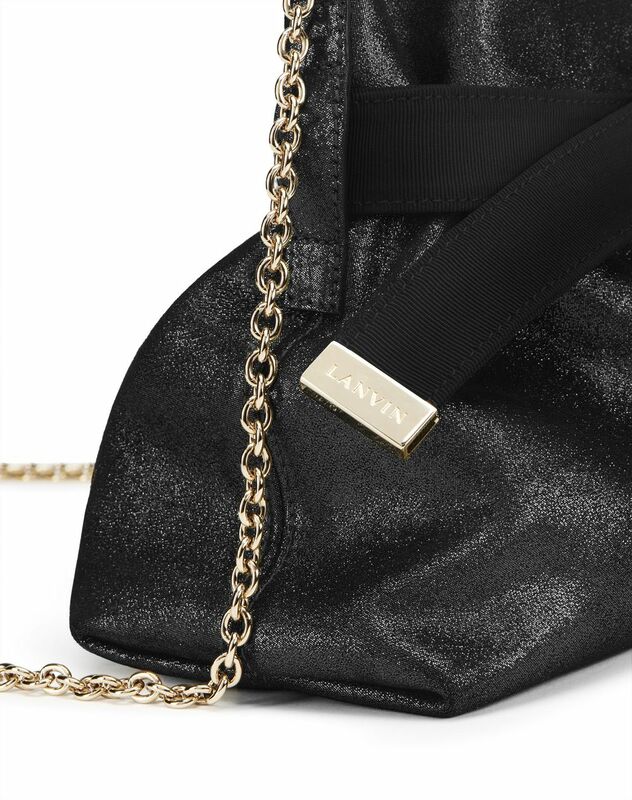 A new arrival to the collection, Lanvin’s V small hobo bag will perfectly enhance your outfits. 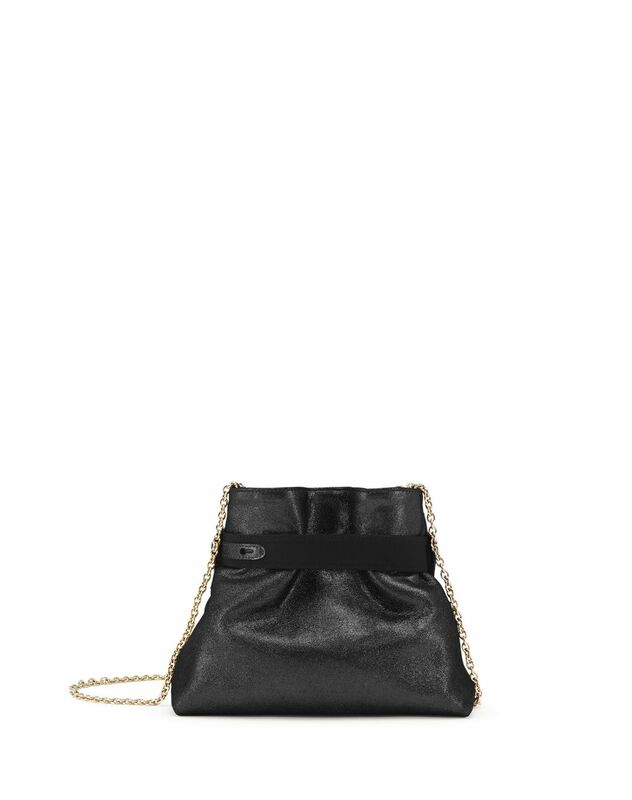 The sparkly nappa leather combined with its black colour leaves this modern, trendy accessory full of character. 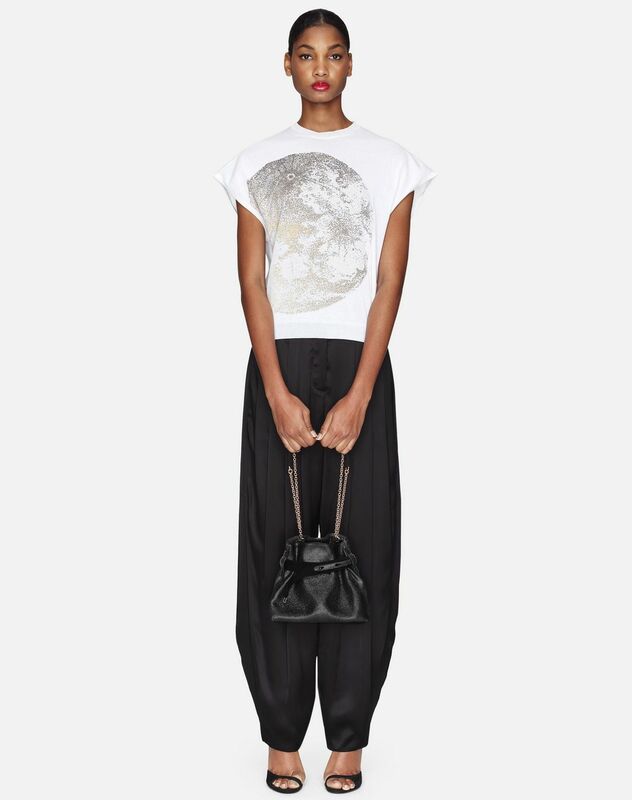 The V bag can be used for any occasion, worn on the shoulder with its double chain for sophisticated flair or across the body for a casual chic look. Main material: 100% lambskin leather. Lining: 100% polyester weave. Depth: 7 cm Width: 23 cm Height: 20 cm Detachable strap length: 118 cm Detachable strap height: 53 cm; double: 28 cm Made in Italy.